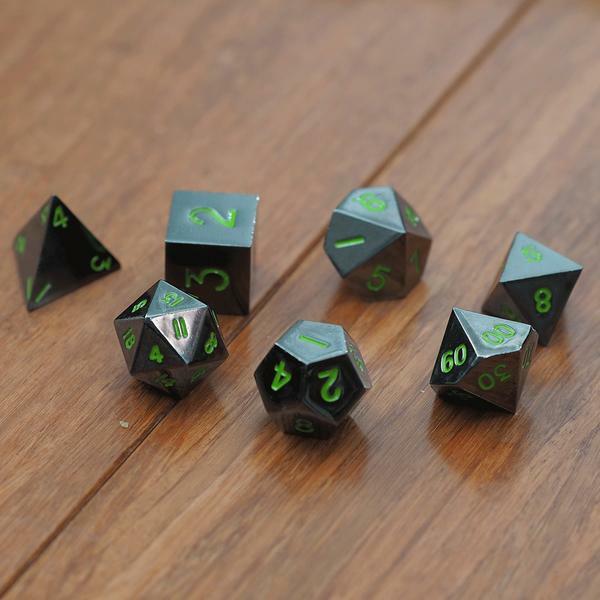 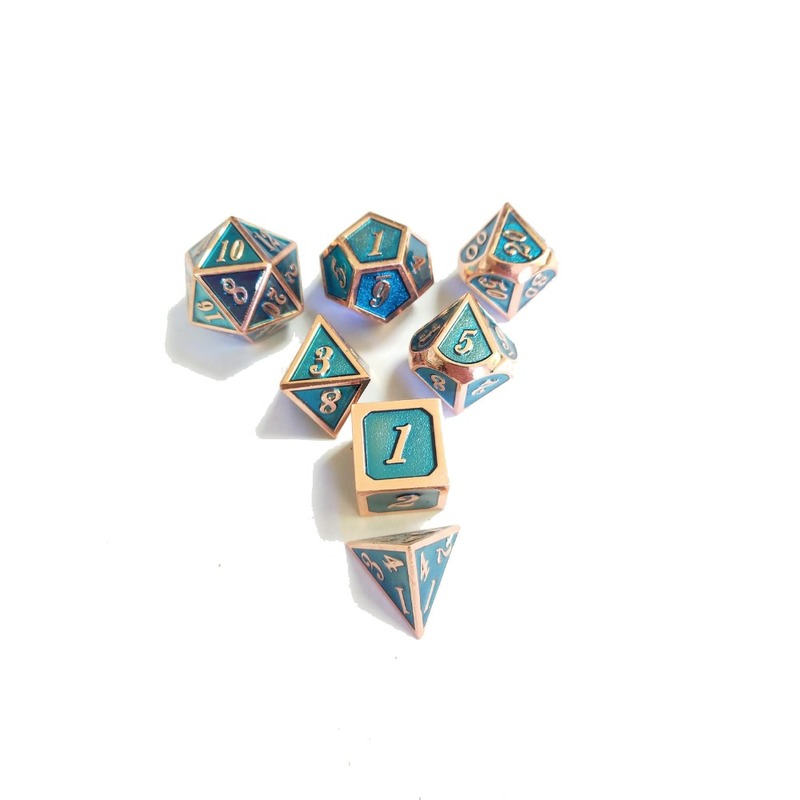 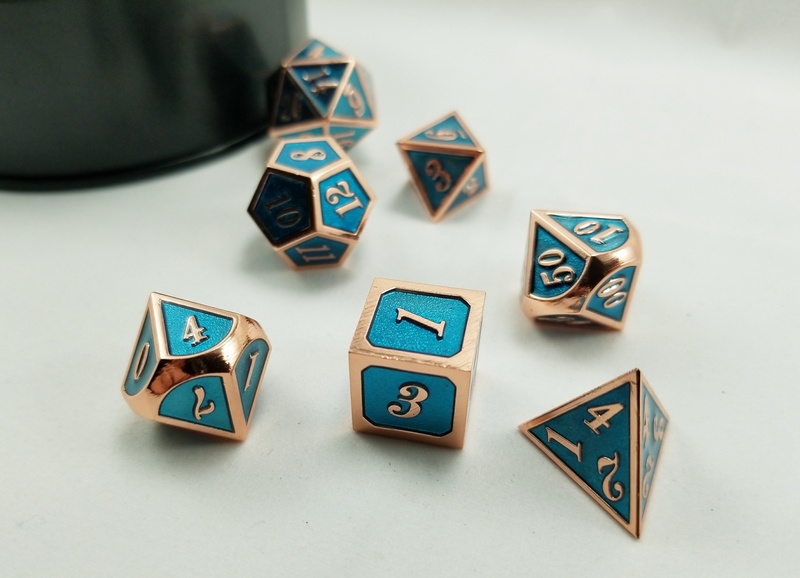 It is not often that metal can invoke the feeling of beautiful forest, but there is just something about these dice that remind us of a lush elven forest. 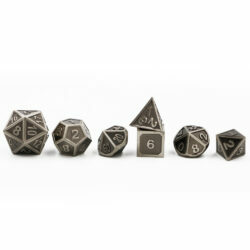 Or maybe an old kingdom being reclaimed by an ancient wood. 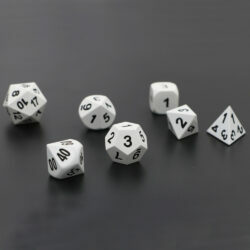 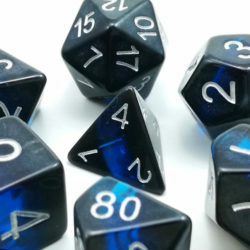 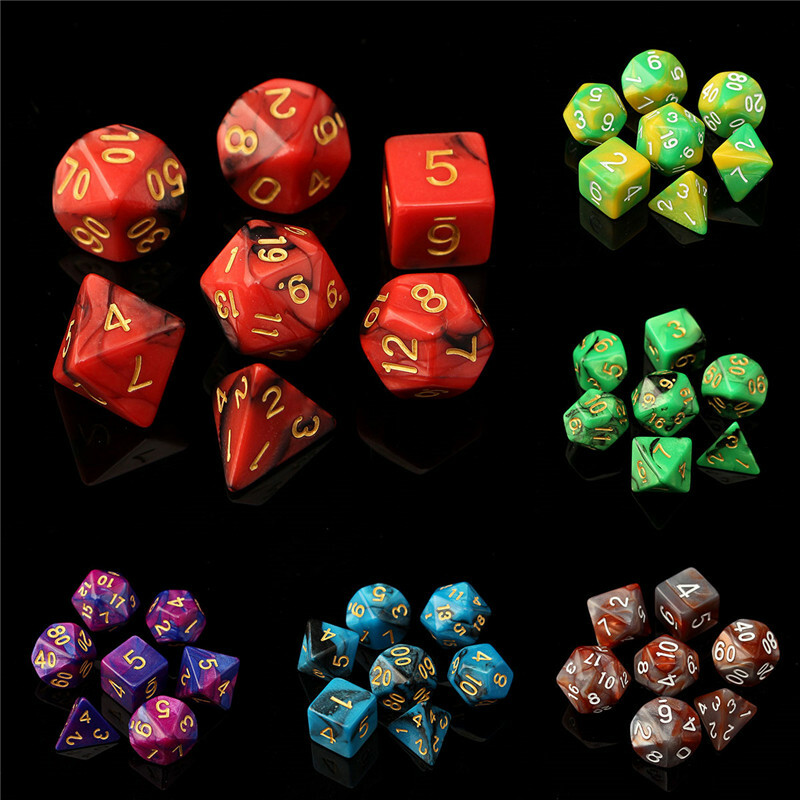 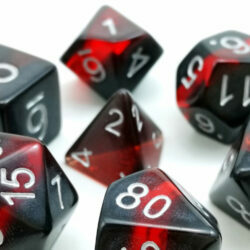 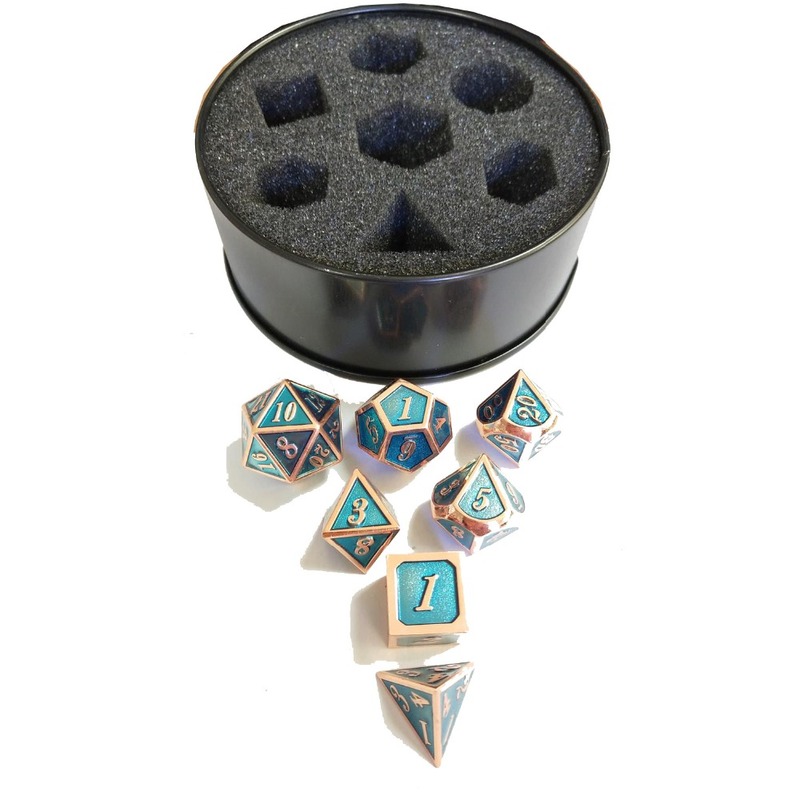 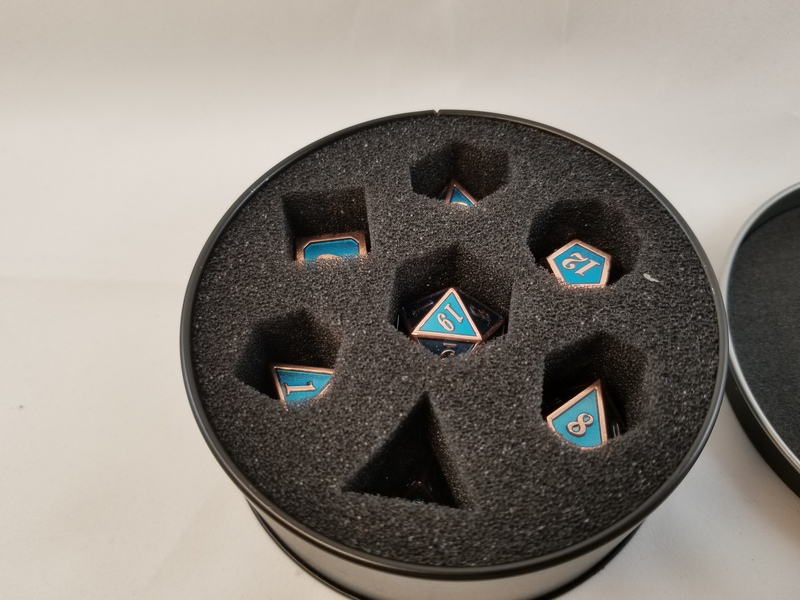 Either way these dice are pretty sweet, and will make the rest of your party jealous.